STEVE JOBS SAID: "IT'S NOT UP TO MAN TO ADAPT TO COMPUTERS, BUT UP TO COMPUTERS TO ADAPT TO MAN. " WE HAVE DEVELOPED ID ARTERIAL SYSTEM AND ID VENOUS SYSTEM IN THE SAME SPIRIT: TO ADAPT ENDOPROSTHESES TO PATIENTS' ANATOMY AND NOT THE OTHER WAY ROUND. To use several approaches in such a way as to facilitate stent connection by more direct routes. To create a compliant connection, enabling optimal placement of the branched endoprosthesis and guaranteeing against wear over time. A "parent" fenestrated endoprosthesis, in which the fenestrations are fitted with a ring seal in the form of a diaphragm. This unit is made of Nitinol®. "Branch" endoprostheses also made of Nitinol®, to be clipped into the fenestrations in the "parent" endoprosthesis. The interaction between the O-ring in the fenestration and the body of the "branch" stent creates a compliant connection. 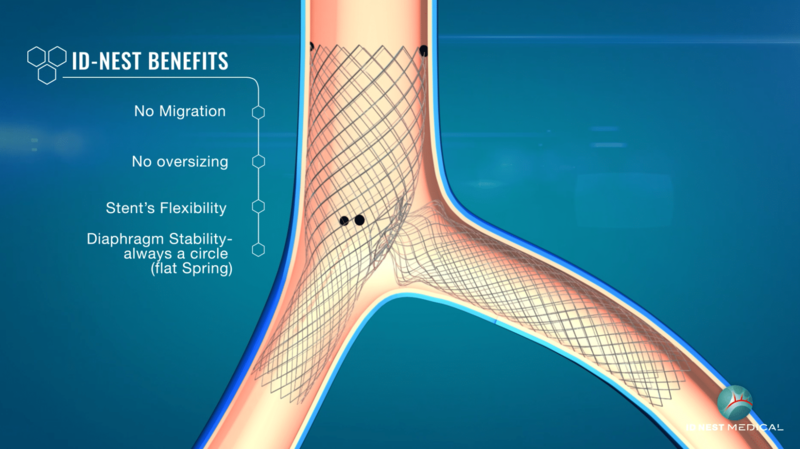 Patented launchers enabling insertion and connection of the parent and branch stents. 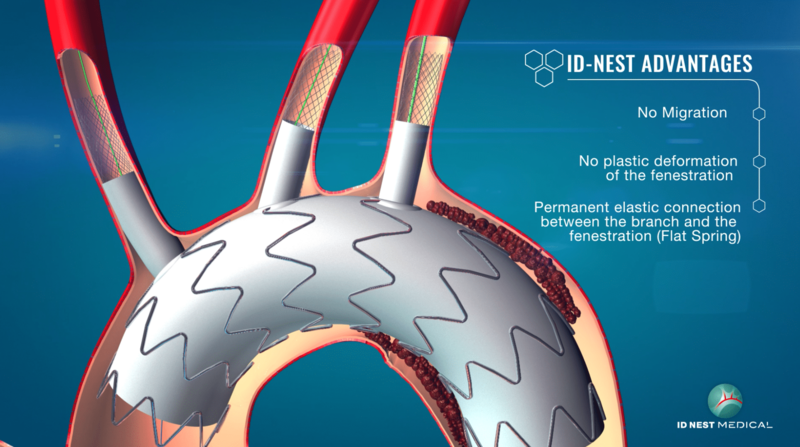 ID-NEST Medical has developed specific "double" launchers and "reversed" launchers. Treatment kit, process device and associated manufacturing process. Elastic crown and associated process device. Launchers and assemblies for inserting connectable implants.